For over 25 years we have specialized in the design, building and finishing of custom hardwood cabinetry and kitchens for all of Southern California. The owner, John Willard, has been in the woodworking business for over 30 years serving the greater Los Angeles and Southern California area. All of the cabinetry and custom woodwork we create is hand crafted to fit your special needs using only the best wood and materials. We do cabinets for custom homes from the flooring and counter-tops, plumbing, electrical and drywall repairs. Bookcases for libraries, dens, and studies, as well as custom bars. Our experience is in creating customized work to accomplish your needs, and our recommendations speak for themselves. ABOUT US: Jones Custom Builders Inc. specializes in Building, Remodeling and Maintaining homes like yours. With the majority of our experience being in custom luxury homes, you will get a high quality product for a competitive price. We know that doing work on your home can be stressful, which is why we gladly keep you informed through every step. We will get as much input from you as we can to make sure your project is exactly what you imagined. Trust is an important part of any home improvement project, which is why we have a list of sub-contractors for you to choose from that our owner personally recommends. Owner Ryan Jones, a general contractor with 18 years of experience, builds homes from the foundation to the last finishing touches. He will personally oversee your job on a daily basis. 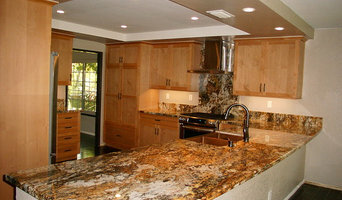 He has worked on many projects in Laguna Beach, Huntington Beach, Irvine, Yorba Linda, and Newport Beach. Customers who choose Jones Custom Builders can expect expert craftsmanship, stellar customer service and attention to detail. A dedication to clients' individual needs with one-on-one service that cannot be found elsewhere. The goal is always to exceed expectations. High quality home repair and maintenance are also available. APlus has been a family-owned business for two generations. We take personal pride and pull from many years of experience to make every project amazing. Our clients love us since we fabricate our own products locally with our expert team - consisting of a licensed contractor, a certified kitchen designer, skilled engineers, draftsmen, and craftsmen - to accommodate your most discerning preferences. The praise for our quality workmanship is reflected by the highest ratings on Yelp, Houzz & BBB and most recently by the designation as the only company to be awarded the Best of Orange County for Kitchen/Bath Remodeling and Window Replacement in 2010, 2011, 2012, 2014 and 2015. We are proud of our customized and automated factory equipped with state-of-the-art machinery. Completely retrofitted to be environmentally friendly, our facility utilizes an energy efficient roof, lighting and insulation. As one of the pioneers in using screen-to-machine technology in California, our vast experience in CNC-controlled dovetail and cabinet making routers allows us to create intricate exclusive designs for your cabinetry. We continue to invest in the most modern equipment, including a new finish line using U.V. Technology for a greener environment. By keeping all of the production process in-house, under one roof, we are able to achieve unique high-quality products for much less than our competitors. Above all, because we meticulously design, engineer, and manufacture in-house, we are one of the few remodeling specialists capable of servicing what we manufacture. We are also the best company to replace your windows and doors. Our installers are craftsmen who know how to detail the installation with wood trim. We sell national brands that carry recognition from JD Power & Associates. Danzo Group Inc. was founded in 2005 and quickly became a premier residential and commercial general contracting company in the Los Angeles area. We specialize in custom high-end cabinetry and woodworking using innovative and traditional methods of building and designing custom projects. Every project is given our full attention to deliver a statement of quality and craftsmanship unlike any other. We work closely with homeowners and designers to design their custom project. From full kitchen remodels to entertainment centers, we draw out each project so that the client can see exactly what the project will look like before we begin. We take pride in our ability to build and create custom cabinetry for our clients. We use high quality materials and fully inspect each piece before it is installed onsite. ***Best of Houzz 2018*** Burgin Design • Remodel is a design and remodeling firm that can provide every service needed to complete your home remodeling project. United from the beginning of every project, our integrated team works to successfully complete a project faster, more cost effectively and with fewer change orders than those who use traditional project delivery methods. 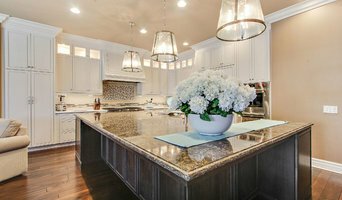 Sierra Custom Kitchens is a full-service kitchen, bath and interior design company. Located in the heart of Pasadena, we are dedicated to providing the highest quality custom cabinetry in the business, and have 40+ years of experience doing so. Our passion for design is evident in our work, and we are proud of the process that we have developed over the years. From the first meeting to the finished product, Sierra Custom Kitchens will work with you to create a unique and fantastic space that matches your specific wants and needs. OUR STORY In 1979 Gordon Gilbert created "Gordon's Custom Designs". 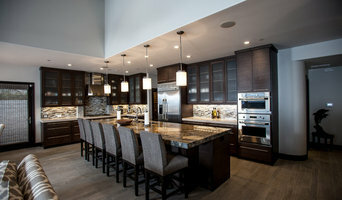 He created high quality custom cabinetry with creative and innovative designs. In 2003 Gordon hired his son , Wes Gilbert, to run the shop and become the project manager of operations. Wes learned the design style and craftsmanship that made Gordon's Custom Designs so successful. In 2010 Gordon Gilbert was diagnosed with cancer and soon retired. Later that year Wes decided to open Legacy Millworks. The company was created in his fathers "legacy" and to create a "legacy" that can be passed down to his son. We currently specialize in high quality custom cabinetry with designs that Wes' father would be proud of. Kelley Crawford, ASID, is an award winning, professional interior designer with over 30 years of experience creating uniquely personal residential environments for clients across the country. Kelley began her design career in Phoenix/Scottsdale working in both residential, as well as commercial design, which included restaurants, hotels, country clubs, model homes, retail space, and mortuaries. But her love for working with people and helping to address their individual and family needs, re-focused her energies towards creating beautifully inviting personal spaces. Her attention to interior detailing and finding just the perfect thing for her clients lead to the natural progression of furniture design, interior space planning and renovation, as well as accessibility and handicap-able design. Stonecrest Custom Homes Inc. is a full service residential contractor. We specialize in custom homes, room additions, kitchens, baths, lofts and more. Give us a call today for your next project! What does a Mead Valley kitchen and bath remodeling expert do? 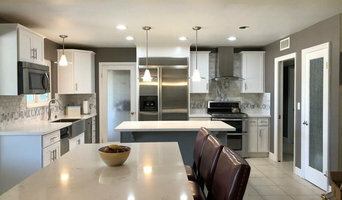 Licensed California kitchen and bath remodelers are contractors who specialize in altering the structure of an existing space, rather than building one from the ground up. Because he or she must deal with a previous builder’s work, the job can get more complicated than new construction. You might wonder why they often specialize in both kitchens and bathrooms, but if you think about those two spaces, they actually have a lot in common. Kitchens and bathrooms include an abundance of fixtures that require careful planning and installation, including sinks, faucets, tubs and toilets that all need water hookups and drainage. They also use similar materials, such as tile and stone for countertops and flooring, due to the nature of their use. So it makes sense that Mead Valley kitchen remodelers and bathroom remodelers be one in the same. A bathroom or kitchen remodeler translates architectural plans from page to reality; some are also trained to provide design services so that you don’t have to hire a separate pro. 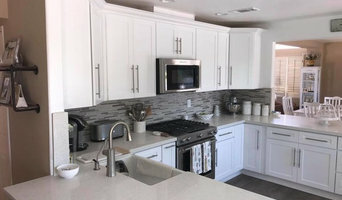 Like a general contractor, a kitchen and bathroom remodeler in Mead Valley, CA is responsible for hiring and supervising subcontractors and providing materials when necessary. They also should have a thorough knowledge of California building codes and construction-related legal issues, as well as current design and product trends. Here are some related professionals and vendors to complement the work of kitchen & bath remodelers: Woodworkers & Carpenters, Kitchen & Bath Designers, Interior Designers & Decorators, Architects & Building Designers, General Contractors. Find a Mead Valley kitchen and bathroom renovator on Houzz. Narrow your search in the Professionals section of the website to kitchen and bathroom remodelers in Mead Valley, CA. You may also look through photos of Mead Valley, CA spaces to find kitchens or bathrooms you like, then contact the bathroom or kitchen remodeler who worked on it.